Following up from my last post that featured political causation ideas, this post features examples of some spiritual causation ideas that I frequently use to understand some of my current message experiences. These last two posts are from my second to last chapter which documents psychological, trauma, and scientific causation explanations in addition to the political and spiritual explanations I am including. I assert in the chapter my belief that the more causation understandings that a message receiver has at their disposal, the more they are able to establish or maintain the flexibility that is required to break out of a message crisis or “psychosis” episode. As I describe below, key to being able to break out of an episode is a willingness to leave causation up to god, and choose the causation explanation that enables you to function with the least amount of distress. Ultimately there are more causation arguments than I could possibly identify and the more we listen and learn to new explanations for unique individuals, I’d argue the better off we will be. Messages come from god, the devil, angels, demons, aliens, ghosts or what we in the west call supernatural experiences. The belief that messages represent a break through to a spiritual world is often thought to be delusional, but for many others (and I) who have experienced it, contend that this can be a valid interpretation that warrants real consideration. This contention is a hard one for many. In other epochs some people believe that message receivers are possessed by the devil and persecuted them accordingly. Additionally, if the message receiver is hostile toward you and calling you a mafia leader when you don’t see yourself that way, being told that that person is in contact with spirits, has discernment of spirit, or a keen ability to interpret right and wrong might not fly. So often there is a tendency to use words like spiritually preoccupied, religious delusions, or in mania when these kinds of contentions are made. But having gone through such experiences many of us are ardent that they can make sense, but that the subject needs to be trained or supported with these kinds of break through experiences. Let me say to the reader that when I was buried in the political, secret society causation ideology, the idea that there was more to what I was experiencing than just mafia oppression was very helpful. When I started to think that maybe god was communicating with me, I went through a profound change in thinking and experience. Not only did it make me feel less exploited and victimized, I also started to think that a good higher power might offer me hope for the future. Yes, I did think I was Jesus and yes I was even more concerned that I would be imprisoned and die a torturous death, but the shift in thinking was a huge relief and a step towards recovery. And yes, I am now much more influenced by the role of spirituality in our world. In fact, once out of crisis, I have learned to use this explanation to explain how some of my messages come true. Now a message is a message and I have to put it on the back burner to see if it is a spiritual message, a mafia message, a traumatic trigger, just a dream-like mental reference, or a result of neurotransmitter imbalance. In fact there are many other kinds of explanations possible and I let time tell. I have learned to see the losses and trauma I have endured as necessary to become a reasonable and effective therapist. Just like Job, I had my possessions returned to me, and now I am working with purpose to help others learn how to understand what they experience in a spiritual manner. Indeed, in groups that I run religious texts and wisdom are often brought up and used to guide people into a healing alternative. Old stories from ancient times also are full of things like voices and other messages and can be a truly powerful resource. Messages are current dilemmas that are happening elsewhere in the world that spiritual connection is helping the message receiver tap into for a reason. Having had the opportunity over the past nine years to normalize divergent views, uncover theories, and crack open special message experiences, I do believe that not only myself but other message receivers learn about realities that are real. Many of us bring the realities of atrocity, genocide, and colonization into our lives and here I ask the reader if there is a reason for this. Though different message receivers have different kinds of experience, themes clearly reflect real wars at our doors. Perhaps, we are connected to others who are suffering or who have suffered in past epochs through spiritual connection. 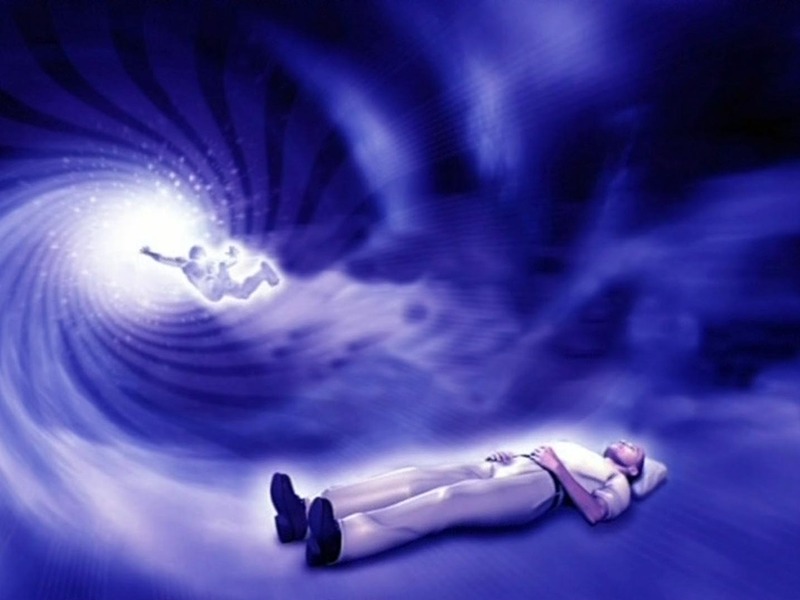 Perhaps when we hear our deceased loved ones voices or see their vision in dreams or in front of us we really are tapping into something important. Perhaps there is a real spiritual world that is not imagined that message receivers can tap into. Perhaps, the problems that arise from spiritual connection are the result of modern world persecution and efforts to silence the whistle blower. Perhaps the message receiver just can’t negotiate and make sense of without guidance and community and what they are given instead is not all that helpful. I personally feel that some of my message experiences give me truth from a higher power, but that I get these mixed up with messages that come from negative experience that negative spirits and histories of abuse and exploitation are responsible for. I have had to learn that I cannot tell the difference and that I need to be passive and play along and let my higher powers reveal to me reality in their time. A lot of time humans don’t always understand the complexity of right from wrong and the people who do the most good spend a lot of time trying to be good but admitting it when they make mistakes. The more I listen to message receivers quoting the Bible, the Koran, and Buddhist teachings, the more faith I have that I am not entitled to or in possession of the truth; but that with guidance and respect for others and time, that god may take care of me if I do my best. Perhaps having a place to process these kind of experiences as spiritual experience can help message receivers make better decisions in our day to day life to live the way god wants us to. Perhaps going back to society with our discoveries and re-establishing a relationship can help guide society in a more godly direction. This is hard to do when the powerful medicalization of these experiences and discriminatory laws discredit us. The above supposition is an extension of spiritual thought and a return to traditions of some indigenous societies and some cultures that are less focused on power, dominance and exploitation. I am not on board with what I believe to be a Eurocentric view that Finland is paving the way for a reintegration of a spiritual and whole community. I believe that many cultures that aren’t so corrupted do just as good a job of this unbeknownst to Eurocentric thinkers. If historically we were the Shaman, perhaps if we empower ourselves as a culture we can help contribute and improve the world. Maybe we can learn truths from each other that can restore the role of spirituality in peoples’ lives. Maybe if we meet others who have been able to survive in a good way we can be more faithful in our spiritual endeavors and more righteous.